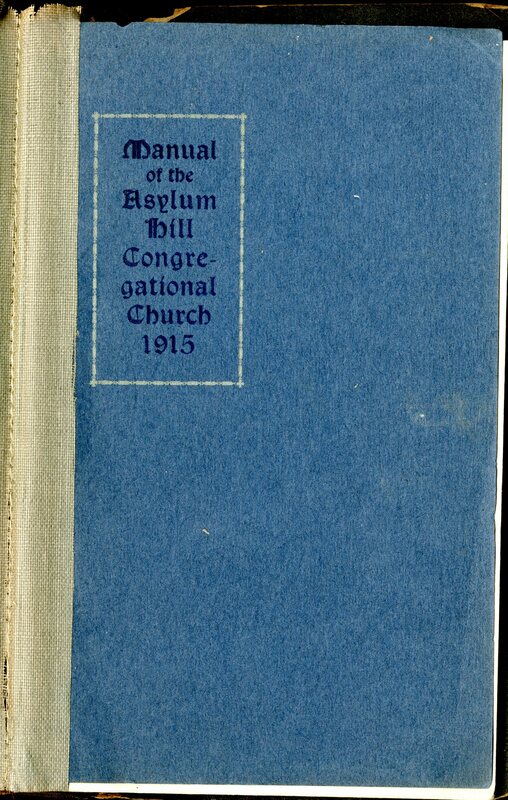 Western CT State University Archives' Digital Collections | The Asylum Hill Congregational Church Hartford, Connecticut manual: corrected to June 15, 1915/ compiled by Charles G. Case, church clerk . 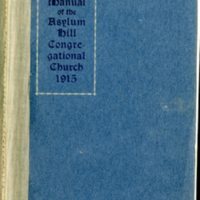 “The Asylum Hill Congregational Church Hartford, Connecticut manual: corrected to June 15, 1915/ compiled by Charles G. Case, church clerk .” Rare Books. WCSU Archives, 6 Nov. 2018. Accessed on the Web: 22 Apr. 2019.